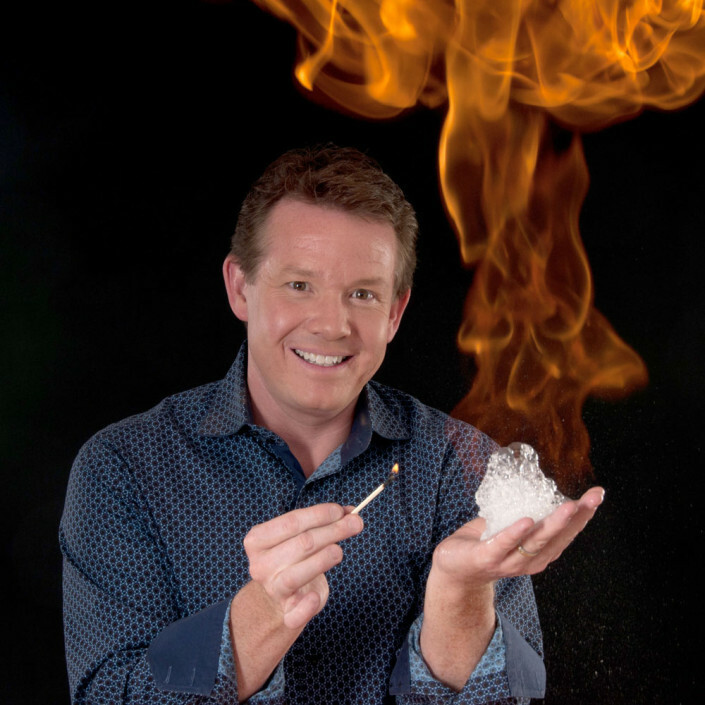 Steve Spangler is well-known for his work as a funny and engaging science guy on stage, television and as a YouTube celebrity. He’s a leading science engagement influencer for top brands and organizations who want have impact and influence in today’s market place. 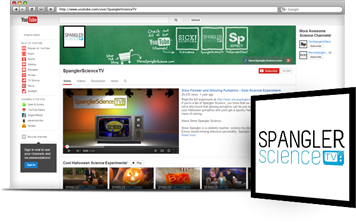 Spangler is an authority on STEM education with more than 1,800 television appearances to his credit. 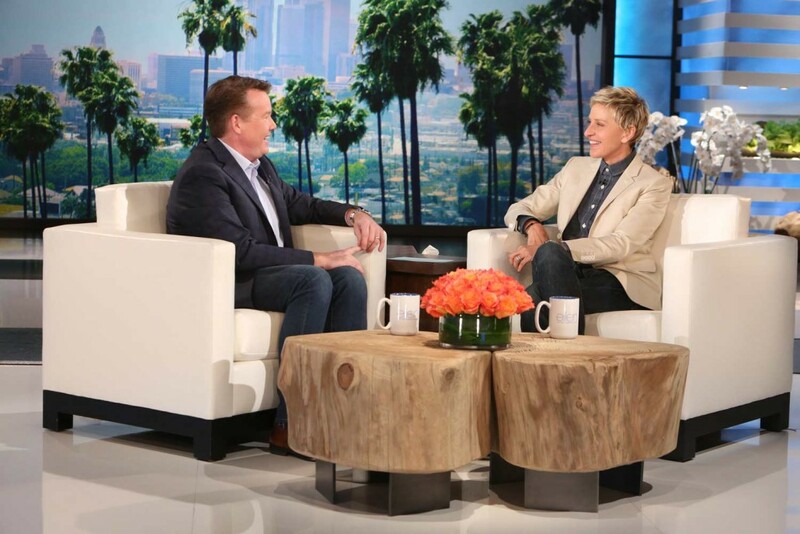 He’s a regular guest on the Ellen Show where he never fails to entertain the Burbank Fire Department. 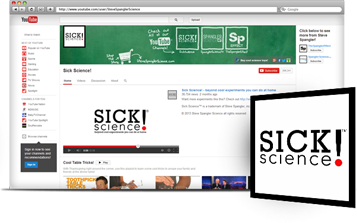 Steve is the host of the three time Emmy nominated television series DIY Sci airing on FOX affiliates nationwide. 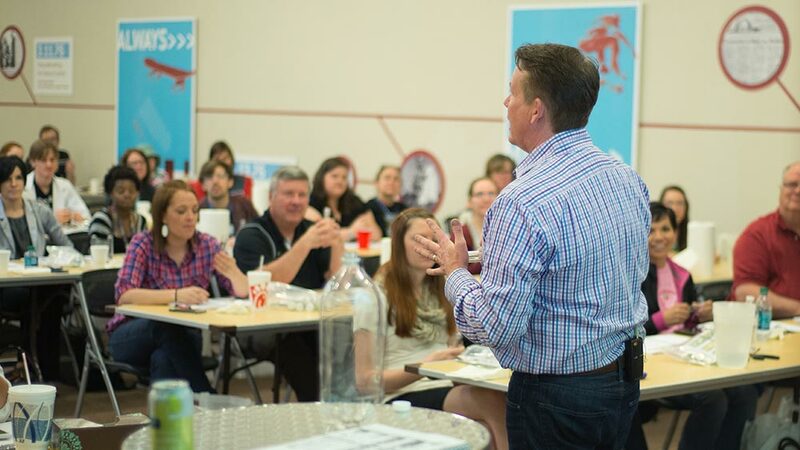 Steve Spangler is a best-selling author, an Emmy award-winning television personality and a Hall of Fame Speaker Inductee who shares his expertise in turning engagement opportunities into unforgettable customer experiences in business and education. 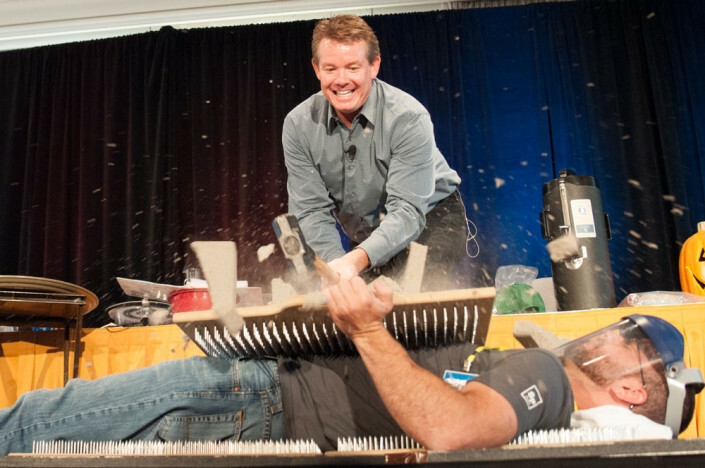 That’s why event planners around the globe share Steve Spangler with their most important audiences. 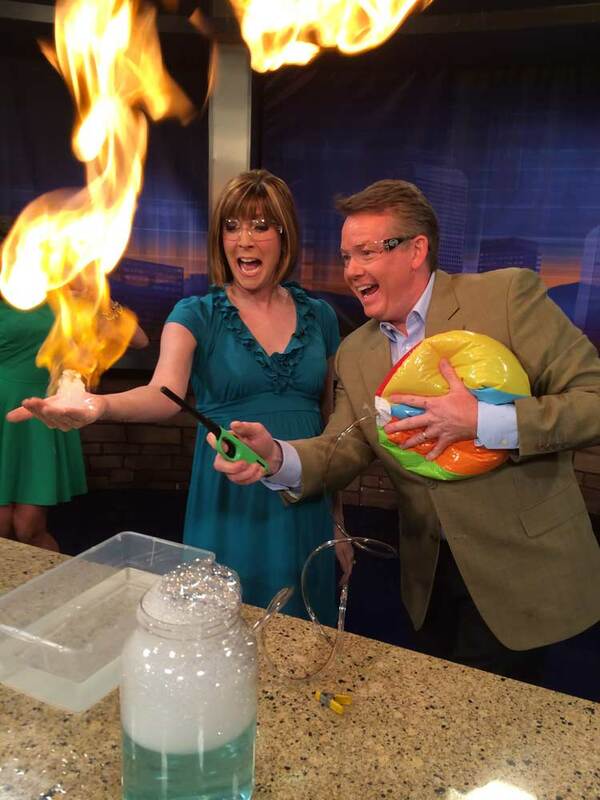 Why does Steve Spangler do all of this? His passion is to find the most creative ways to make learning fun. His methods might be unconventional, but the goal is to turn ordinary life lessons into unforgettable learning experiences. 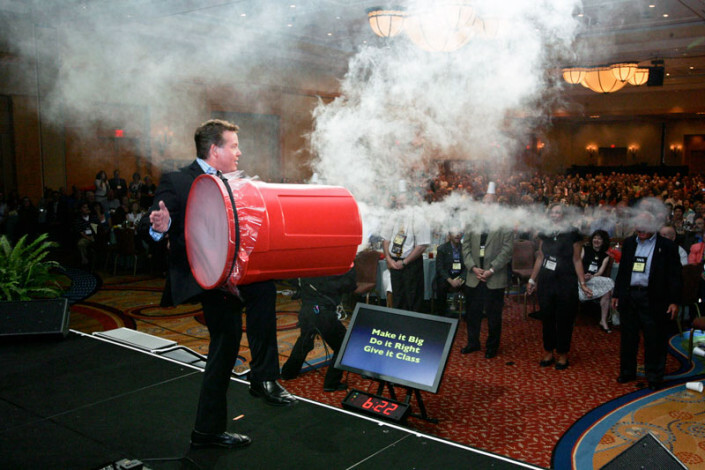 To many, Steve Spangler may be best known for teaching millions of people how to turn an ordinary bottle of soda into an erupting geyser of fun… What’s now become known as the Mentos Diet Coke Experiment became an Internet sensation, fascinating millions and catapulting Steve into the limelight! Steve went on to become an engaging Hall of Fame speaker, world-renowned educator, Emmy award-winning television personality, innovative entrepreneur, famous toy designer and best-selling author. As a highly engaging and entertaining speaker, trainer and media guest, Steve is best known for creating truly unforgettable experiences audiences can emulate with their customers, employees, students and even children. Steve Spangler is the author of two best-selling books that showcase some of his most popular science experiments and demonstrations from the past 20 years: Naked Eggs and Flying Potatoes: Unforgettable Experiments That Make Science Fun (Greenleaf Book Group) and Fire Bubbles and Exploding Toothpaste: MORE Unforgettable Experiments That Make Science Fun (Greenleaf Book Group). 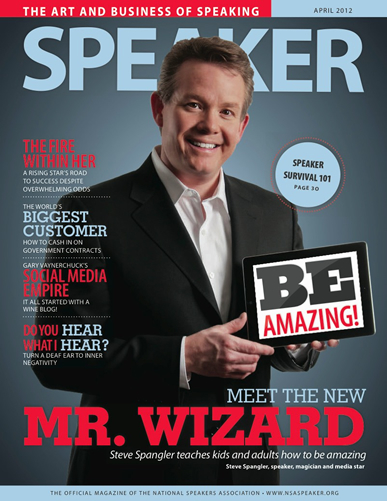 Contact Carly Reed directly at 855-228-8780 to find out why Steve Spangler is the perfect choice for your audience! 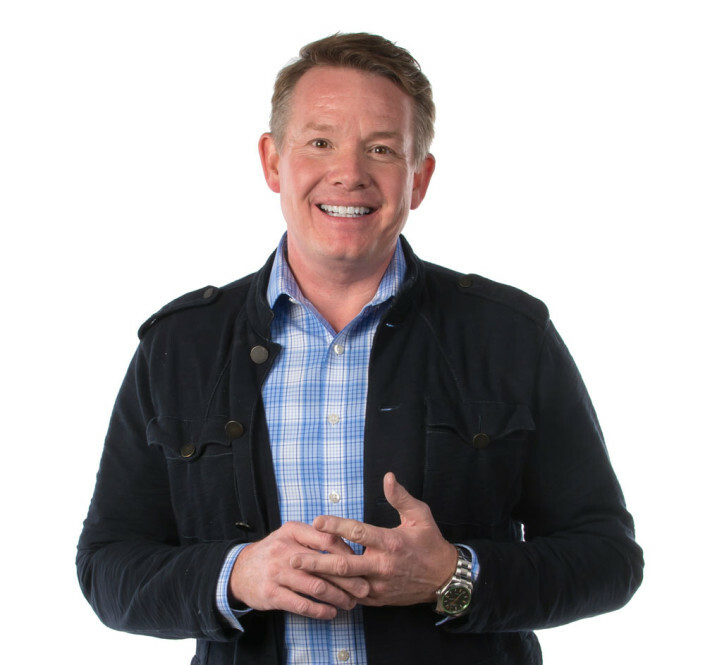 Hall of Fame speaker Steve Spangler not only creates unforgettable experiences for audiences, but he reveals the secrets to creating unforgettable experiences for employees and customers. Steve’s entertaining speaking style is truly the opposite of five points and a poem! The content is strong and the audience-focused interaction is hands-on, engaging and extremely fun. Whether you’re inspiring your leaders, motivating employees or sparking creativity, Steve believes the name of the game is engagement… and it’s the skill that sets him apart from everyone else! 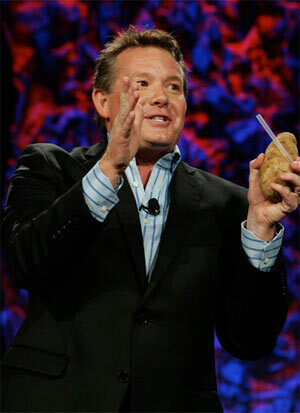 In July 2010, members of the National Speakers Association (NSA) inducted Steve into the prestigious Speaker Hall of Fame. He is among an elite group of only 201 professional speakers in the world to receive this honor. On the education side, Steve Spangler started his career as a science teacher in the Cherry Creek School District in Colorado. Today, he travels extensively, training teachers in ways to make learning more engaging and fun. His hands-on science “boot camps” and summer institutes for teachers inspire and teach teachers how to prepare a new generation for an ever-changing work force. 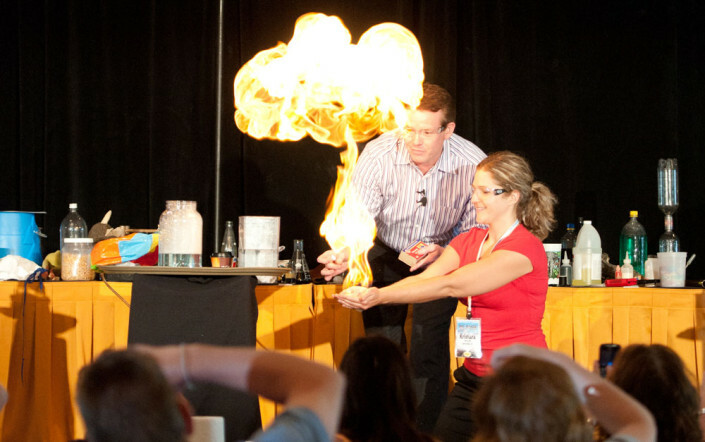 As an entertaining speaker, Steve presents regularly to educators and administrators at regional and national association meetings who want to learn how to integrate more science with their curriculum and use Steve’s techniques for turning ordinary moments into unforgettable learning experiences. Teachers can attend one of Steve Spangler’s live events on his Hands-on Science Boot Camp tour or experience his special three-day event in Denver called Science in the Rockies. 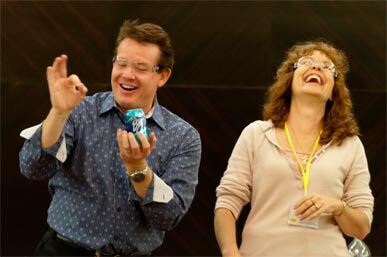 Steve Spangler’s now-famous Mentos Geyser Experiment became one of the first viral videos on YouTube, teaching millions of people how to turn an ordinary bottle of soda and a roll of Mentos into an erupting soda geyser. Since then, Steve’s catalog of YouTube videos has grown to over 1,800 with over 240 million views and 1.2 million subscribers to his channels. Recently, YouTube’s top executives chose Steve as one of YouTube’s 100 Original Content Providers. 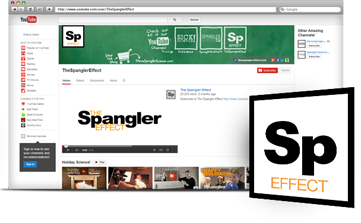 His show, The Spangler Effect, teaches viewers how to conduct the coolest science activities using simple items found around the house. Check Out All of Our Channels! Over the past 20 years, Steve Spangler has made more than 1,800 television appearances as an authority on hands-on science and inquiry-based learning. He’s the recipient of two Emmy Awards and has been featured on the History Channel, Food Network, HGTV, Discovery Channel, as a regular guest on The Ellen DeGeneres Show and as a science education reporter at KUSA in Denver, Colorado. During his past appearances on The Ellen DeGeneres Show, Steve shocked Ellen with 50,000 volts of electricity, shot giant rings of smoke at audience members, filled her studio with 2,500 boxes of cornstarch for the now famous Cornstarch Water Walk experiment and toilet papered her entire studio! Steve Spangler’s Denver-based educational toy company, Steve Spangler Science, is itself an experiment in how to create a business culture where employees are rewarded for creating unforgettable customer experiences. The company’s unique business strategies and attention-getting creations have been featured in the Wall Street Journal, Inc. Magazine and TIME Magazine where on-line readers voted Steve #18 in the Top 100 Most Influential People of the Year. Steve Spangler’s company specializes in the creation of educational toys and kits and hands-on science training services for teachers. His best-selling science kits and educational toys help to get kids excited about science at home. You’ll find more than 300 Spangler created products available online at SteveSpanglerScience.com and distributed to toy stores and mass-market retailers worldwide including Target, Toys R’ Us and Wal-Mart. For information about purchasing Steve Spangler’s licensed products, visit Be Amazing! Toys.